We at AAA termite and pest control services are committed to ensuring that all employees, clients and the public are safe from injury and risk to health at all times. We are also committed to high standards of hygiene to protect the health and safety of the public. We will endeavour to exceed minimum legal requirements to reflect the importance we place on the safety of our services. ‘Integrated pest management (ipm) is a sustainable approach to managing pests by combining biological, cultural and chemical tools in a way that minimizes economic, health and environments risk’. As an employee we are all required to work towards meeting these standards and improve oh & s performance. We are required to treat/inspect as to the Australian standards and regulations. We are required to abide by regulated health and poisons acts. 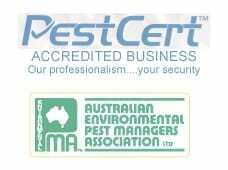 Our technicians are professional, highly trained, fully licensed and dedicated, we’re committed to abide by AEPMA ‘The Australian Environmental Pest Managers Association’ and “Pest Cert’ guidelines and requirements. Each employee have specific responsibility related the their level of authority in the work place. Identify and report hazard or situations that may cause injury. Identify and report hazards or situations that may cause contamination or injury. Develop and implement planned actions to address these issues. Thoroughly investigate accidents and incidents to prevent reoccurrence. Monitor the implementations and effective of policies and procedures. Review the introduction of new equipment, materials, procedures and the processes to eliminate their potential to risk. Observe all safety and hygiene requirements. Educate and train all staff to enable them to meet their oh&s responsibility and provide information to enable work to be reformed safely. Ensure all staff meet oh & s hygiene conditions. Ensure all staff meet HACCP food safety conditions. Ensure all staff are environmentally aware. We hold in high regard the health and safety of all people involved in our operations and will continue to strive to improve performance through our commitment and our actions, to ensure the achievement of the highest standards. Be honest and reliable at all times. Keep the costs to a minimal. Treat all emergency calls as soon as possible after notification. A general overview approach taken by our company in managing a pest solution control program will possibly involve in at least eight steps of process. A strong emphasis on identification of pest problems. Minimal usage of pesticide whenever possible and practicable. Record keeping, verification activities and corrective actions. Pest sightings logs and site bait maps/diagrams. An example of typical procedure and records to be kept. Procedures and training of employees in good hygiene practices and good operators within the industry. Training of good business personal in a team approach to ensure an effective pest control program, maintenance, rotation of stock, pest locations and reporting’s of sightings or and concerned areas. Recommendations and advise on treatments and prevention of pests where appropriate. 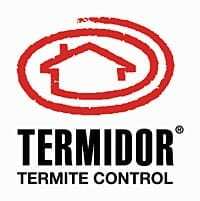 The pest control technique is known as an integrated pest management program. It may consist of the following basic steps. Risk assessment and determination of control measures and procedures. Determination of the critical control points & quality control points. Establish of a threshold levels (critical limits). Monitoring. Evaluation (that is, verification) of the effectiveness of the program. Record keeping. Besides achieving the primary goal of a reduction in pest populations in benefiting the following. they are more effective than programs using only pesticides. they pose less potential harm to the client. they ultimately reduce service time and thus save money. they reduce the dependence upon pesticides and thus reduce the likelihood of resistance. What to look out that indicates there are pests present. How to identify these pests plus. The correct way to collect pests for identification. These training procedures may include basic training materials including diagrams, photographs, examples of the different types of pests, there droppings, regurgitations, descriptions of the pests habitat and behaviour patterns, manuals, posters, pest managers magazines, rtc to train the employees. These training periods may be in the form of lectures, verbal or written tests to ensure they are competent at identifying the pests and required application of treatments likely to be a problem to the food/public business. All treatments are to be carried out at the utmost minimal/nil risk to the client, production and product, wild life, domestic life, environment etc. Risk assessments are to be carried out on each individual treatment and determine the best practical and safe approach at all times. Always read the product label prior to use and use in accordance within the labels requirements. Old fashion honest and reliable services with modern technology.